Of the 13,276 booths in which polling was held, repoll has been declared in a mere 14, the Chief Minister said while lauding the security forces for maintaining law and order during the elections despite attempts by the opposition to trigger trouble. 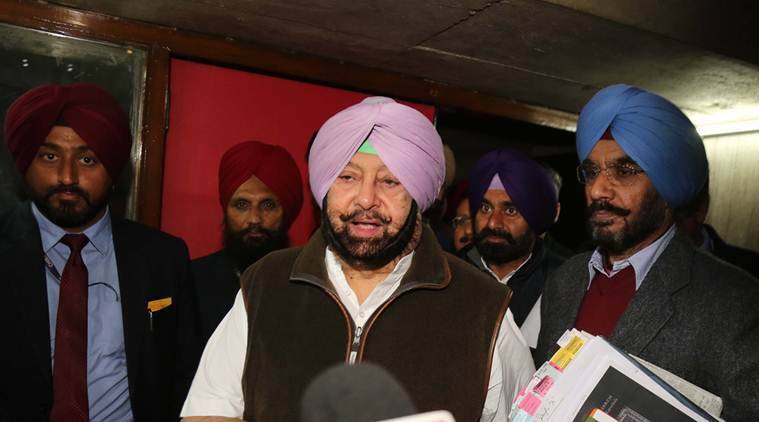 PUNJAB CHIEF Minister Amarinder Singh Tuesday hailed the sweeping Congress victory in the just concluded Panchayat polls in the state as a victory of democracy and a clear vindication of his government’s policies. In a statement Tuesday, the Chief Minister congratulated the people of Punjab for ensuring a largely peaceful poll, in which 80.38 per cent of the total 12,787,395 eligible voters exercised their franchise – a record for the state. Of the 13,276 booths in which polling was held, repoll has been declared in a mere 14, the Chief Minister said while lauding the security forces for maintaining law and order during the elections despite attempts by the opposition to trigger trouble. “Undeterred by false propaganda unleashed by the Opposition parties, including the Shiromani Akali Dal (SAD), against the Congress government, the voters came out in large numbers without fear to cast their votes in favour of his party’s candidates. This shows that the disillusionment of the electorate with the SAD and other opposition parties, including the BJP and AAP, was complete,” Amarinder said in the statement. The wave in favour of the Congress, which started in Punjab with the Assembly polls held last year and was manifest in the recent elections in various states across the country, was evidently going strong, till the lowest rung of the democratic ladder, the Chief Minister said. “The Panchayat polls indicated the palpable pro-Congress mood in the state ahead of the Lok Sabha elections,” said the Chief Minister, expressing the confidence that his party would win the parliamentary polls too hands down. “The people of Punjab had seen the development and progress of the past 21 months, since the Congress government took over, as against the utter ruination into which the erstwhile SAD-BJP regime had plunged the state during 10 years of their misrule,” said Amarinder.